You have trained day in and day out for months, put in the time and pounded the pavement – now it is finally time to show what you have on race day! Don’t let simple mistakes trample your big day… below are a few quick tips from a seasoned marathoner to help you master 26.2 miles. Don’t eat anything new the day of or day before the race. This is not the time to try a super spicy meal or to drink coffee the morning of the race, if you have not done so before a long training run. You don’t know how your body will react, so best to play it safe. Pre-plan dinner the evening before the race and know what you will eat for breakfast the morning of. Mentally prepare yourself. This can mean many different things to different people. Think about what will help you feel the most relaxed and ready on race day. This could be visualizing yourself running and completing the course, or maybe you find comfort knowing the mile markers for every water and aid station, or perhaps you are trying for a set time and would benefit from inspiring thoughts or quotes when you find it hard to carry on. Thinking about these things and being mentally prepared for them on race day will help immensely. 26.2 miles is a marathon, not a sprint. You may be thinking – thanks, but I already know that! However, you may be surprised at how excited you are at the start line, and before you know it, you are several miles in and winded because you went out way too fast. Take it slow at the start and keep an eye on your pace, especially if it is your first marathon. And don’t get frustrated if you are trying to PB and are stuck in a bottleneck at the start. Keep your cool and don’t let it get to you, there are miles ahead to make up a few seconds. Stay hydrated. This includes the day before the race – be sure to drink at least your daily recommended allowance. And during the race, even if you don’t feel like you are thirsty or are not visibly sweating, it is important to take small sips of water throughout the course. Don’t wait until you are thirsty to drink, as you may have already begun to feel the effects of dehydration if you wait until you feel parched. Have spectators bring a large visible object with them. Plan the intersections and mile markers you are hoping to see friends and family at, and ask them to have something easily visible with them. This could be a homemade sign, colourful umbrella, flag, etc. Chances are, it is going to be much easier for you to pick them out of the crowd than the other way around! Have fun! The marathon is such an exciting race to take part in. It is a true test of character, grit and overall fitness. Whatever your goal may be on race day – ensure above all else you enjoy it and have fun! 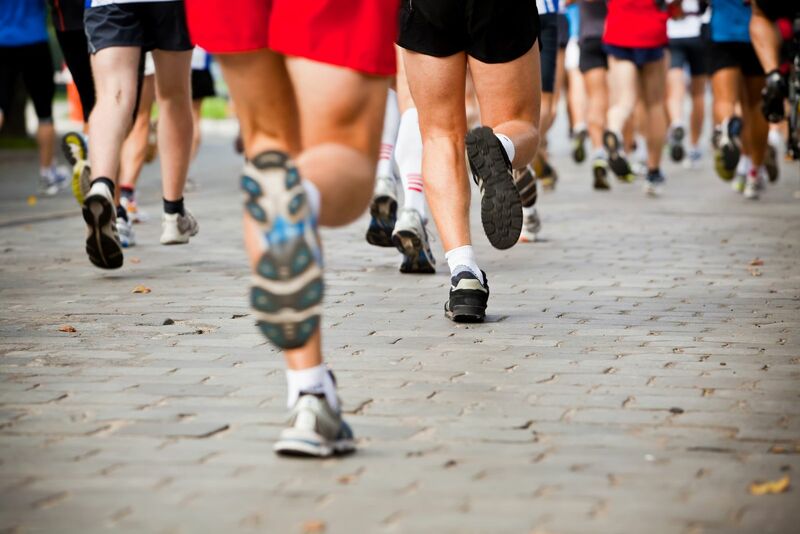 Should you experience any injuries post-marathon, we have expert Consultant Orthopaedic Surgeons, Sports & Exercise Medicine Consultants and Physiotherapists here to help. For enqueries or to book an appointment, contact a friendly member of the Client Services Team at Highgate Private Hospital.